the word or pseudoword "perved"
Don't worry! IPhOD has not been hacked again - the title alludes to a comment by an anonymous grad student who participated in one of my experiments recently. One item presented during the pseudoword detection task was pronounced perved, as if there were a past tense of the colloquial abbreviation for the noun: pervert. These sorts of pseudowords are always a hot item with subjects, since these sorts of items may evoke any number of representations or processes in the course of making the tough call - did I just hear a word or a pseudoword? When you are using pseudowords that are generated to highly resemble English words, it is inevitable that subjects will hear slang or potential slang. A brief debate followed the experiment. I argued with the participant that perved is definitely not an English word, plain and simple - you cannot apply past tense to a noun in this way. More importantly, we are not including pseudoword trials in the analysis - so the effect of such items is to challenge subjects and hopefully keep them engaged in the otherwise boring task. However, it only took one hour in New York city to be proven wrong. Almost immediately after that conversation, I went out for lunch and along the way, a strange looking man walked by me, making unusual faces and articulating some disturbing noises. I sped up my pace and got out of there! Based on this incident though, it seems that you can actually be perved by someone. While the pseudoword in question seems meaningless in Southern California, perved appears to be a legitimate, meaningful word in the Big Apple! If you've visited IPhOD in the last 2 weeks or so, then you probably noticed that it looks pretty strange and bad. The company that hosts my webpage informed me by email that someone used a SQL hack to break into the webpage and trash it. The beautiful calculator functions that I wrote allowed the hacker to feed some code into the SQL server and then take over my site. This was terrible news since I had put so much time into the webpage and I am currently preparing a writeup. On the other hand ... this seemed like a good time to debut IPhOD version 2.0. Since the new database is completely prepared and I must rebuild the webpage anyway, it makes sense to go ahead and distribute the newest version. The principle difference between version 1.4 and 2.0 is that I am using the SUBTLEX database word frequencies instead of Kucera-Francis word frequencies (the latter is widely seen as an inferior frequency measure). 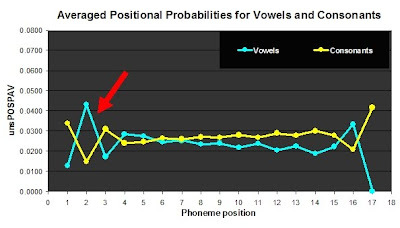 Another important change is the inclusion of homographs and homophones, and data columns that will reveal whether an entry has more than one pronunciation or spelling. I will be blogging a separate post on the changes when I release the newest version, so stay tuned! IPhOD will continue to be available as a download with PERL scripts that I wrote to search its contents and calculate new values. I will try to get the calculators operating again -- but I have to patch up the vulnerability that the host identified. Since I am a programmer but not a computer scientist, this may take a while. Here is where I ask for your opinions and tips: Is there anything that you think I should organize differently? From users: any new features that you think would be more valuable for searching the database? If you are a hacker or web programmer, is there a simple way to prevent SQL attacks from user-submitted forms? Any general comments are appreciated too!